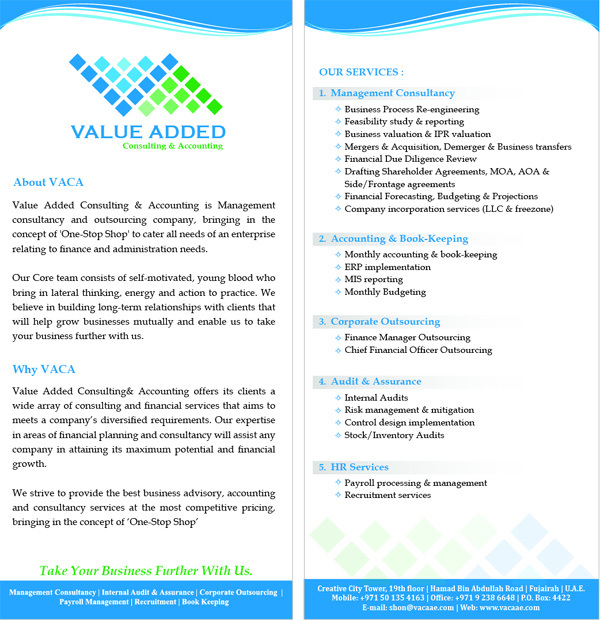 Value Added Consulting & Accounting is a company incorporated in UAE having its wings across GCC countries & India. We seek to take your business forward with the most competitive business advisory and financial consultancy. We aim to achieve the 'One-Stop Shop' inrespect of all financial, administration, payroll, accounting and all other needs that a company has. The Company is structured in a such a way that we provide multi-disciplinary services all under one roof. We incorporating the best practices of the institutional space while providing customised Financial & Management solutions to its clients. Thus we partner with our clients in their growth by being a part of the organisation and ongoing monitoring and mentoring of the opportunities. The Founders are based in Dubai focusing on core-competency areas of audit & consultancy. 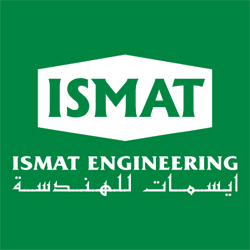 They are supported by a team comprising of experienced professionals specializing in various disciplines and geographic knowledge. A core group of well wishers provides the strategic inputs and access to best -in-town practices. You can take a tour of the Services menu where you can see in detail what services we provide.